“EPA regulation was associated with a significant decrease in urinary arsenic concentrations among Americans who use public water systems,” said study author Anne Nigra, from the Columbia University Mailman School of Public Health in New York City. “Levels of arsenic in private wells, estimated to provide water to roughly 45.5 million Americans, vary significantly throughout the U.S.A. Because of the cost of testing and treating contaminated water, private well water users remain inadequately protected against arsenic exposure in drinking water, especially residents of lower socioeconomic status,” Nigra said in a journal news release. 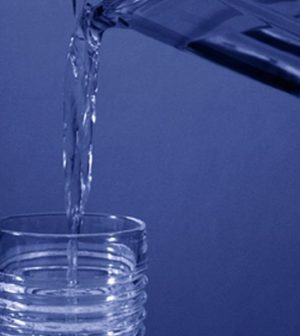 “The findings are consistent with data from previous studies of the health benefits of reducing arsenic concentrations in drinking water,” Dr. Philip Landrigan, a professor at the Icahn School of Medicine at Mount Sinai in New York City, wrote in an editorial that accompanied the latest study. “They are also concordant with analyses of the benefits of interventions against air pollution, which have been shown produced major gains both for human health and the economy,” he wrote. The U.S. Centers for Disease Control and Prevention has more on drinking water.